Having received their first CLP award in 2008 for their project ‘Community-based conservation of Lake Kuyucuk, Kars, Turkey’ the team achieved not only Ramsar designation for Lake Kuyucuk; but the site was also chosen to be Turkey’s European Destination of Excellence (EDEN) in 2009. The Convention on Wetlands, called the Ramsar Convention, is an intergovernmental treaty that provides the framework for national action and international cooperation for the conservation and wise use of wetlands and their resources (The Ramsar Convention Secretariat, 2014). Lake Kuyucuk and its surrounding landscape provide environmental and economic resources to local people and habitat to more than 232 species of bird, a number that steadily increases with more observations by the CLP team and visiting birdwatchers. With their follow up award, the team were able to prepare a long-term management plan for Lake Kuyucuk, enabling wildlife conservation, research, monitoring and collaboration with local people. As well as increased knowledge of species present at the site, this project also provided opportunities to promote Lake Kuyucuk across Turkish media and via schools and universities. In 2013 the team received a Conservation Leadership Award to continue and intensify efforts to involve the community in conservation of the area. Receiving this award has helped the team increase interactions with the media, and volunteers from seven different countries helped complete bird surveys this year. 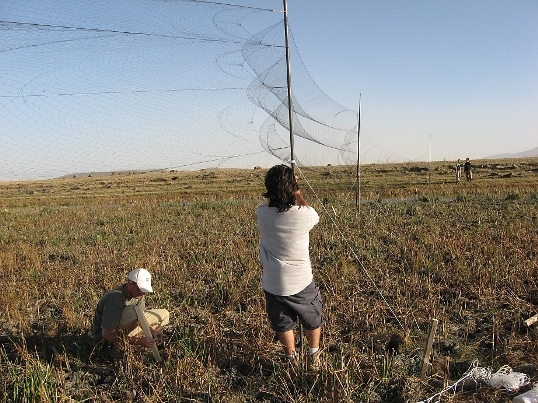 In 2010, Kuyucuk villagers started their own NGO for the conservation of and ecotourism at Lake Kuyucuk. CLP project team wrote a proposal for the Lake Kuyucuk Visitor Center and Guesthouse on behalf of the village NGO. Turkey’s government funded the entire $240,000 budget, with which a two-story, ten-room guesthouse and visitor’s center was built in Kuyucuk Village. It was inaugurated in June 2014 during the Kuyucuk Bird Festival organized entirely by the village NGO. This guesthouse hosts not only ecotourists, but also visiting friends and family of the villagers. It was also designed as the main meeting place and social centre for the village to be used year-around, further increasing local ownership. Visit the Lake Kuyucuk website.